Re: [Hmmm] Amazon goes after Google Now with "Echo"
ImLawBoy wrote: Is there a way to have it access my music if I have it all on Microsoft OneCloud? If you can play it on your phone you can play it on the Echo via Bluetooth. You can upload MP3s to amazon music. There is a pretty strict limit unless you pay. Import up to 250 songs from your computer for free, including music purchased from iTunes®. Import up to 250,000 songs for $24.99/year. No, sorry, your music needs to live on Amazon. Any indication that this may change in the future? Like support for Microsoft's Groove (I think that's it) player? 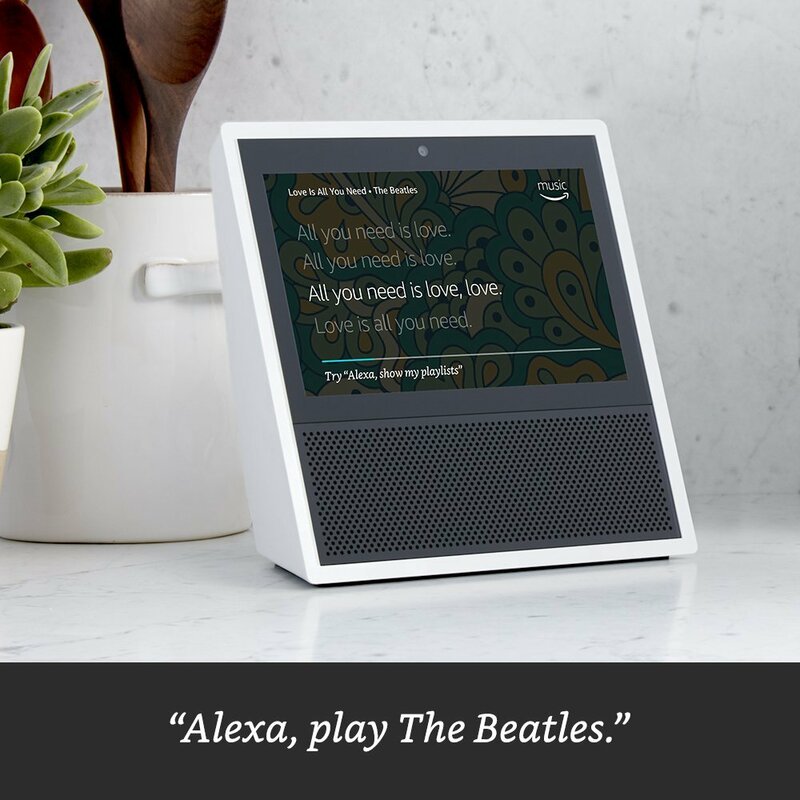 Or is this part of Amazon's marketing push - use the Echo to drive all things Amazon? Carpet_pissr wrote: But you can use your Pandora account, TuneIn, Iheartradio, Spotify or Audible. I couldn't find the Spotify support, but I'll have to look for that, since my wife uses that. I'll look into that - seems like a pain, but it might be the best of a bad situation. Yeah, forgot about the BT option, but that, for me, defeats the whole purpose (although it does pair really quickly - but I rarely leave BT on on my phone since it drains the battery). The ability to out of the blue say "play something while I'm cooking breakfast" is what gives it the edge over any typical BT speaker (or my main living room speakers and SW, which are about 15 ft away from the Echo). My kids (and my wife) are constantly losing the living room remote control. This is not a huge deal because we have an app on our phones and her tablet that have remote functionality. It's still annoying because it takes time to switch the app to control different rooms (we have three harmony smart remotes). Now I can just say "Alexa, turn on the TV/Roku/blu-ray/wii" and she does it. Apparently I can do other things like set up favorite channels, but I haven't gotten to that yet. The living room TV is pretty much always on Nickelodeon anyway. I have yet to successfully get echo change the channel for me though. I assume that's coming soon? Carpet_pissr wrote: I have yet to successfully get echo change the channel for me though. I assume that's coming soon? All worked flawlessly. You have to set up the favorite channels on the Harmony and then you can give the channels names on the Alexa smarthome setup. What is the primary differences between Echo and Echo Dot, aside from the former being 3x the price? Size (and as a result, speaker size). Personally I would not want to have a smaller speaker than the one the Echo already has, if I was planning to use the built in speaker. If I decide to continue with the Echo line in the future, this (Dot + sound system) is actually the route I would go since the Echo built in speaker is ok, but can't match my much nicer home theater speakers + sub of course (and my current Echo is approx. 15 ft away from my home theater receiver). They really need to improve the listening AI before I consider anything though. Thanks. I have a set of Bose computer speakers that can be used if for some reason connecting it to my stereo system is problematic. Wife was interested, and her birthday is this weekend. As long as you don't expect miracles, it's a nice toy. Think of it as a slightly smart BT speaker, and you'll be ok. Just got back from a yearly physical and my doc told me I have the BP of a teenager. It's telling that I often find myself yelling obscenities (or just yelling sans obscenities if the kids are around) at 'Alexa' because she's soooooo stupid (which I also often tell her, and she apologizes for, at least). If it could summon and play music and maybe cut down on remote control gymnastics just to get a particular show on (what they don't tell you when you cut cable is how much more difficult it is to get to something you want to watch) she'll be happy. Jeff V wrote: If it could summon and play music and maybe cut down on remote control gymnastics just to get a particular show on (what they don't tell you when you cut cable is how much more difficult it is to get to something you want to watch) she'll be happy. Perfect. It will do that and a bit more, depending on how deeply you are invested in the Amazon ecosystem. Able to answer random, weird trivia-like questions? Sometimes maybe. Carpet_pissr wrote: Able to answer random, weird trivia-like questions? Sometimes maybe. She is no Siri. On the other hand Siri has never turned off the TV when the kids lost the damn remote again. The Echo implementation is a lot friendlier for Philips Hue integration than Homekit/Siri — with the exception that it doesn't recognize colors. But on/off and lighting level (in terms of percentage) are nearly flawless. Hopefully getting a Google Home for Xmas. Anyone have one yet? Alexa, did the butler do it? In what may be a first, police in Arkansas asked Amazon for recordings potentially made by an Echo device in connection with a murder investigation. Amazon declined to provide the data. Police in Bentonville, Ark. asked Amazon for audio and other records from an Echo digital assistant in the home of James Andrew Bates after Victor Collins was found dead in Bates' hot tub last year, The Information reported Tuesday. Bates was charged with killing Collins on Nov. 22, 2015, according to the Northwest Arkansas Democrat Gazette. The two had been drinking and watching football with two other friends in Bates' home. The friends left and sometime in the night Collins died in the home's hot tub. The cause of death was strangulation with drowning as a secondary cause. Bates was arrested and charged with the murder. He is currently out on bail. But in a digital twist that raises questions about privacy inside the home as we increasingly surround ourselves with devices that track our movements, listen to our utterances and record our activities, police also twice asked Amazon for audio from Bates' Echo. Amazon refused both times. In a statement to USA TODAY, Amazon said will not release customer information without a valid and binding legal demand properly served on it. Amazon objects to over broad or otherwise inappropriate demands as a matter of course, the company said. Amazon did give prosecutors information about Bates' account and purchase history. According to court documents police took the Echo and extracted information from it, though what they would have been able to get from it isn't clear. The Echo only keeps fewer than 60 seconds of recorded sound in its storage buffer. As new sound is recorded, the old is erased. So there's no audio record made of what went on in a room where an Echo sits. Only when the Echo hears its wakeup word does it begin sending a stream of audio to the cloud to be converted into text that the program can understand and act upon. The requests are saved, though Amazon allows users to go in and erase their voice recordings. It’s also possible to turn Echo’s microphones off so it is not listening. My wife hates that the Echo is always listening. I'll make sure to mention this article to her. THANKS! I got the Echo Dot for Christmas - and think it is pretty neat so far. One thing that I can't wrap my head around is that I can use Alexa on my Fire TV from my remote but *not* from the Echo Dot in the same room. How is there not a skill for this? malchior wrote: I got the Echo Dot for Christmas - and think it is pretty neat so far. One thing that I can't wrap my head around is that I can use Alexa on my Fire TV from my remote but *not* from the Echo Dot in the same room. How is there not a skill for this? I was just going to ask this. I finally set up the Dot I got my wife for her birthday a few months ago. I thought it could do more than it does, especially with the Fire sticks (I have two). Seems to be most useful for music requests and weather reports; I've not yet tested it on traffic reports. Not sure what else it's good for. I really like it - I have it tied to Spotify and Audible. I have it tied to my Nest but it is wonky. The people who wrote the Nest skill didn't think it'd be useful to tell you what temperature the house is. For real. IMO for reasons like this it is barely consumer ready. To find out the temperature I had to install an additional skill called Thermostat Monitor. I can now get the house temperature by saying, "Alexa, ask the thermostat what the temperature is?". Super natural interaction. 1. Fire TV/Echo integration - They both use Alexa. I should be able to ask for things like Alexa, tell the FireTV in the office to play The Office. 2. Above implies naming devices by room/function. Their vision is to have these all over your house so you can automate. 3. Open source more of the tools - they did the heavy lifting by getting the voice recognition where it needs to be. Let people build on that. Those all seem reasonable and I can't see where they would particularly deviate from their from their goals. Tying in everything in the Amazon ecosystem would seem to be a no brainer to start. When I bought it, I assumed it could at the very least integrate with Fire and save me the tedious scrolling of their poorly-responsive interface. Larger appliances like fridges will have Alexa built into them soon (obviously as options on some higher end models). One is already in production. Got one for Christmas, and right now it falls into the "fun but not essential" category. However, for the price, and the potential with home automation, etc. I'm very happy with it. My main uses are streaming music and checking the weather in the morning (finding my phone, unlocking it, clicking the weather app, waiting for it to load - it doesn't sound like a big deal until you suddenly don't have to do it anymore). I've also used it to check movie times when I was too lazy to grab my phone from upstairs and for oddball weird things I just needed to know the answer to without expending a great deal of effort. Like I told someone today, it's basically like separating Siri from your phone. But that's got amazing potential, because you've now removed that tether to a device. Ok yes, you still need to be in range of your Echo, but that's vastly more freeing than having to be right next to your unlocked phone. This is not the first time an ill-conceived TV spot has caused havoc with voice-control systems. In 2014, a Microsoft Xbox commercial featuring actor Aaron Paul demonstrating Kinect voice control was blamed for causing consoles across the US to spontaneously boot up and launch the game Titanfall every time the ad aired. Alexa and I are going to have chat. I have been pretty happy with my echo. We have an echo and a dot, the echo is much better than the dot for some reason even with voice recognition. Best uses so far- smart home features, accessing my Amazon music, getting the news, and ski reports for my resorts. Love those features. The weather function works fine too. The sports update feature is OK. Basically just gives you scores for teams you program it to, nothing else. I wouldn't mind a little blurb about the leagues in general, top sports stories, something. I want an Amazon fire TV but i won't get it until they integrate my echo. Also I was worried about the voice recognition but it is so much better than the Kinect voice recognition. Impressively better. I have to yell at my Xbox sometimes. The echo can understand me while I'm brushing teeth even. Also can hear whispers. Much better all around. Chrisoc13 wrote: Also I was worried about the voice recognition but it is so much better than the Kinect voice recognition. Impressively better. I have to yell at my Xbox sometimes. The echo can understand me while I'm brushing teeth even. Also can hear whispers. Much better all around. 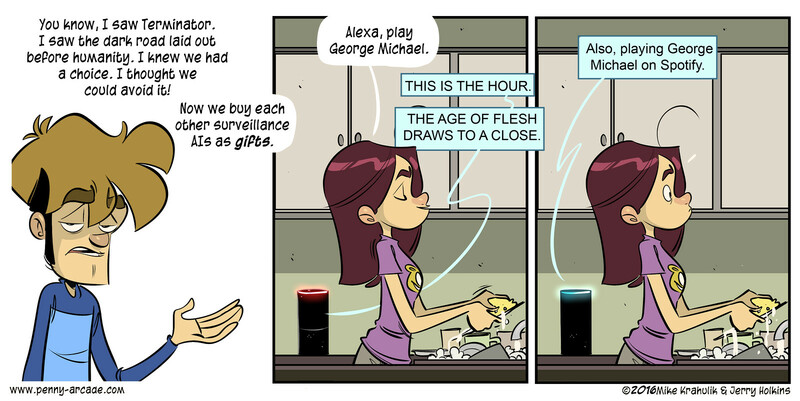 Isgrimnur wrote: Alexa, did the butler do it? That's an interesting strategy, Cotton. Let's see if it pays off for them. Amazon points to a variety of previous cases to establish its argument. A user’s voice requests are protected under the First Amendment because it covers the “right to receive, the right to read, and freedom of inquiry” without government scrutiny. Alexa’s specific responses are also protected because its ranked search results are a “constitutionally protected opinion,” which qualified as free speech in a separate case involving Google. Amazon Echo now available on iOS (no Amazon-specific hardware needed) via the Amazon app. Echo Show to be released on June 28, 2017. Speaking of the butler did it, police could have a witness to their behavior right on their phone in addition to that body cam. Hell, we all could. No worry of he said she said from now on. Seniors could have a constant companion to monitor them, talk to them, play cards with them, communicate with family for them with apps they wouldn't need to learn how to use. Hell, give it an avatar like Harmony AI and text to speech voice that mimic their deceased partner and WOW. I got my mother a greatcall panic device the other day and it's crap compared to what could so easily be done with just a tiny bit of work yet. Oh shoot, now I see there's a personal assistant app named Genie, Robin wouldn't call me Master so... Using so much of my phones capabilities all of a sudden seems so much easier to do, it really is a smart phone. "Echo, can you please stop listening to anything spoken in my house?" We were gifted with one from our daughter who didn't want the one her workplace gifted her with. It sits over there (points) and doesn't get much use. I think all I've told it for awhile now is to shut up. Most recently it heard something during The Punisher that made it start telling us a Thanksgiving story about a turkey that "flew off the platter" or some such. With eight microphones designed for in-car acoustics, Echo Auto can hear you, even over road noise. Last edited by Carpet_pissr on Thu Sep 20, 2018 11:04 pm, edited 1 time in total. And uh...."70 more new items announced today" I assume they are joking, but it is a lot. Some of these are cool ideas if they continue to be fleshed out, maybe with version 2.0. The Amazon microwave sounds ridiculous to me (I know these are first gen models for most, but come on, at least make me think "that could be interesting"!) What is the value of push to talk, vs traditional push time amount? It's actually faster to simply push the time amount and boom, you're off on many models (mine, for one). Voice just adds an extra step! Weird. It would be MUCH more interesting (but still not enough for me to buy one) if you didn't have to push any buttons. That COULD be useful when your hands are full of whatever you are cooking/heating, or messy, or whatever. Just had a weird vision of a small kid in some not-so-distant dystopian future saying "tell me a bed time, story, microwave!"